Wow! This episode was such a joy! 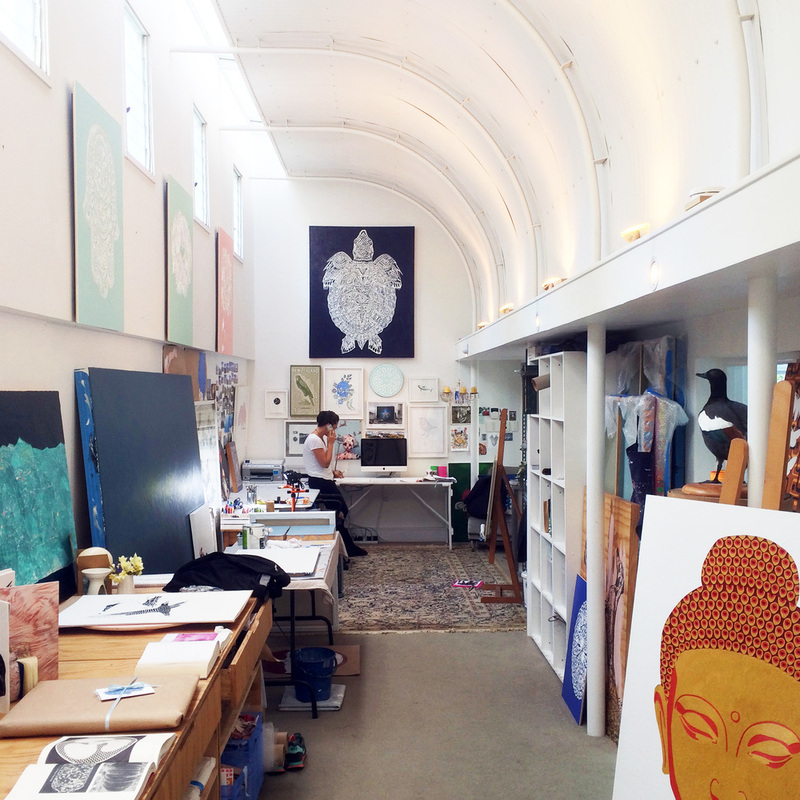 Last week I visited my friend Hannah Jensen at her amazing art studio and home in Auckland. She is one of the most beautiful people I know and her studio is equally so. She mentioned off air that she dreamed about having this studio space 4 years before she got it (photos below). So keep dreaming kids! We sat down with some lovely Little Bird cacao cake and a cup of coconut green tea while she continued to paint an African Maasai portrait commission as this multitalented multitasked and managed to also enlightened me on her life's work. Not only is Hannah an amazing artist, she's an amazing Yogi, loving caregiver/volunteer and beautiful friend. For me she is the definition of success - she works hard, she does what she loves with such beautiful energy, she loves the process, her smile is vibrant, her heart is kind and she knows how to have fun. Even singing Karaoke for fun, and weight loss... believe it or not, but a good excuse to sing more. Her story is enthralling. Her art practice fascinating. Her morning routine uplifting. Her energy contagious. She is well traveled, honest, and a true world changer, adding a little bit of joy to everybody and every moment that she meets.